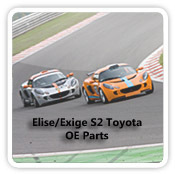 Besides all products in our shop, elise-Shop.com can deliver any genuine original Lotus part to you. 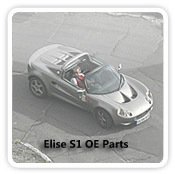 As the list of parts was growing, we have seperated the sections into Elise / Exige S1, Elise S2 and Elise / Exige S2 VVTi sections. 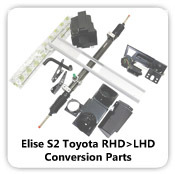 To make life easy for those of you who bought a Right Hand Drive car and want to convert that car into a Left Hand Drive car, we created a specific section for each car. The products which you find in that section are the products needed to do the actual conversion. 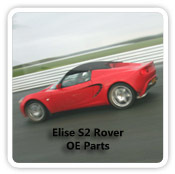 elise-shop.com has uploaded the complete Lotus pricelist to this website. 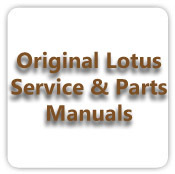 It is not possible to browse the list, but if you enter a Lotus partnumber in the Search box, you will get the partnumber description and current pricing. Many people ask us to improve leadtimes on original parts. 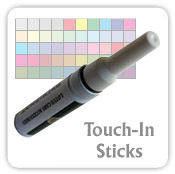 We are completely dependend on Lotus. 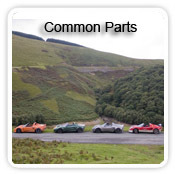 If Lotus doesn't have a specific part in stock it might take longer than the usual 1-2 weeks before we can deliver your parts.